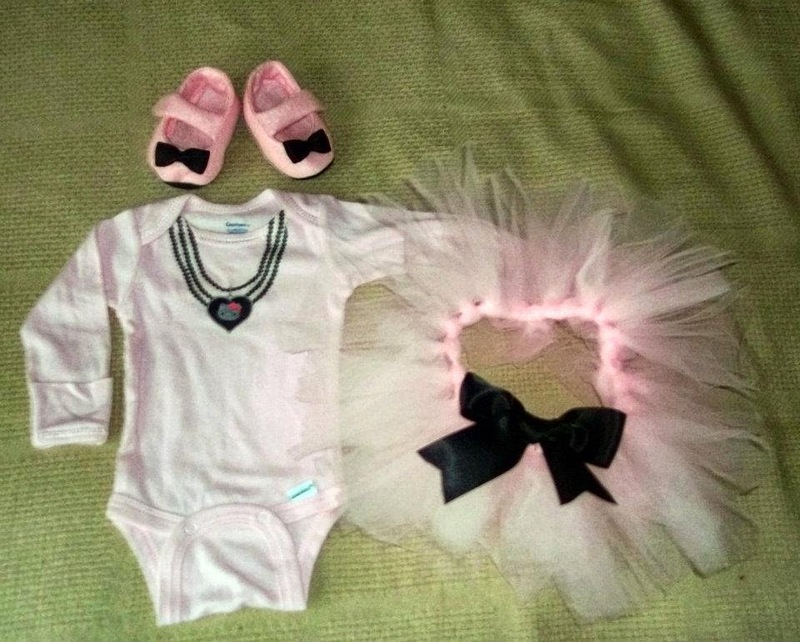 As soon as I found out how easy it is to make a tutu out of tulle I quickly starting working on one when I found out my sister was having a girl over three and a half years ago. It was so easy to make and extremely affordable compared to the prices in those little online boutiques and stores. 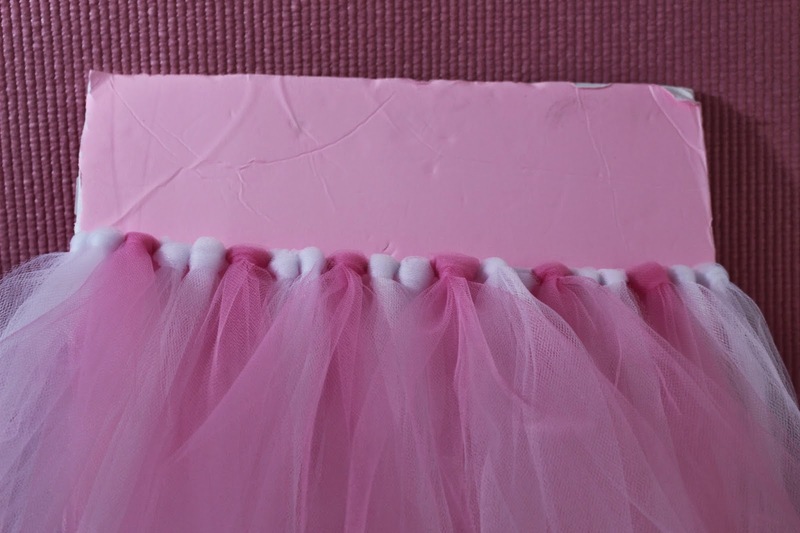 Making a tutu is super easy were you just take strips of tulle and knot them onto elastic. First I started by buying yards of tulle and cutting out the strips. 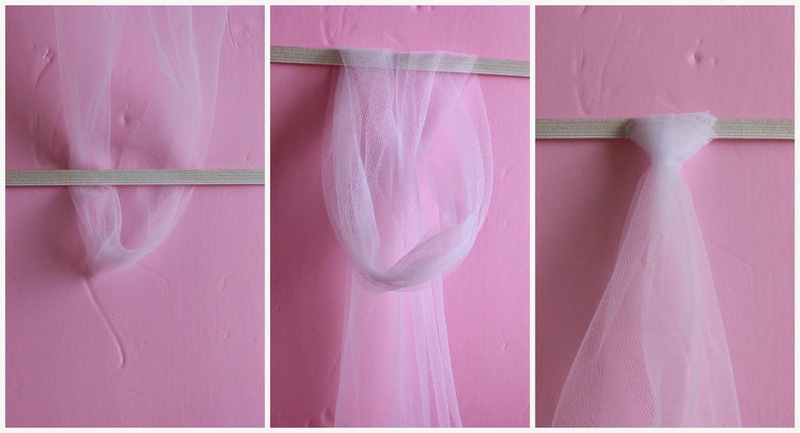 If you have ever cut tulle before you know how long the process can be because it slips. My strips never came out even but it was OK because the fluffiness of the finished product hid all of that. Then I came across another amazing method of cutting the tulle strips by buying the tulle in rolls and wrapping it around a piece of cardboard the length you want. Genius! To make a tutu for my 2 1/2 year old I measured from waist to knee at 15 inches. I took a piece of cardboard that was just as long by 12 inches wide. Then I wrapped away until the roll was gone. Then I took a pair of sharp scissors and cut across the bottom loops of the wrapped tulle. I then took some pink tulle and repeated with about half of the roll. Set the strips of tulle aside. Measure around the waist and add 1/2". Take the elastic, overlap the ends and sew with a sewing machine in 3 different spots with reinforced stitches. 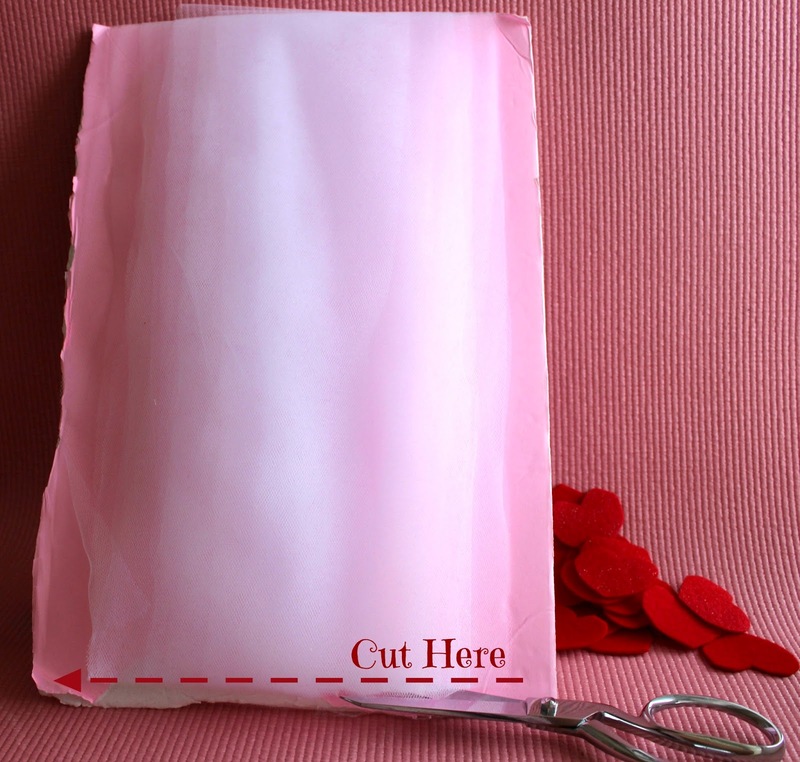 Take the elastic loop and place it around the piece of cardboard you used to wrap the tulle. 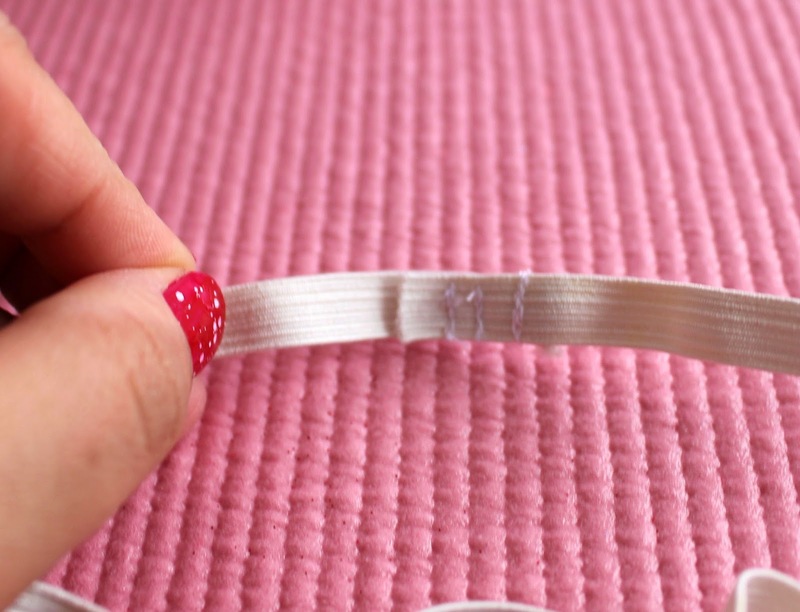 Fold the tulle strip in half and place the loop in the elastic like shown and thread the end pieces through the loop. Continue until you have filled the elastic loop with the tulle strips all around. I did a pattern of two white stripes and one pink strip. 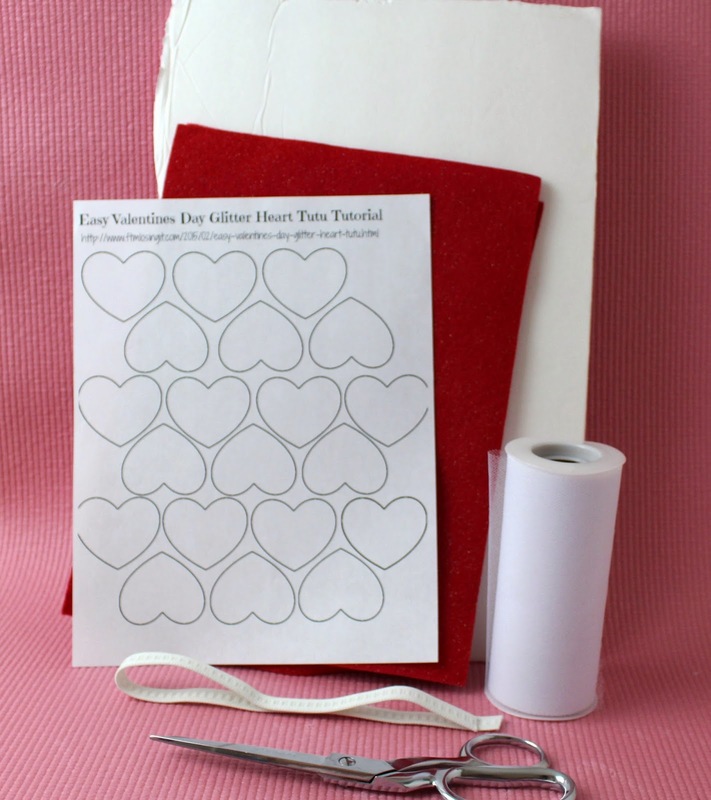 Print out the Hearts Template and pin on top of the red glittery felt. 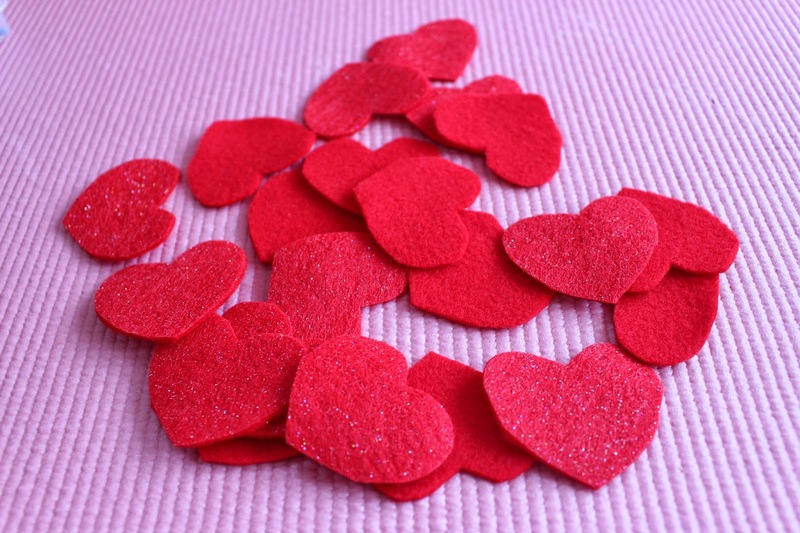 Cut out all of the hearts. 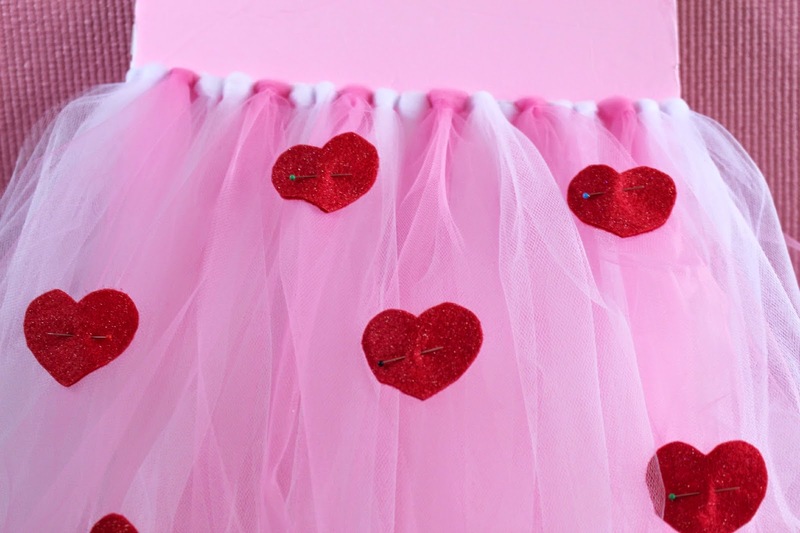 I placed the hearts randomly around the tulle skirt and pinned them in place. 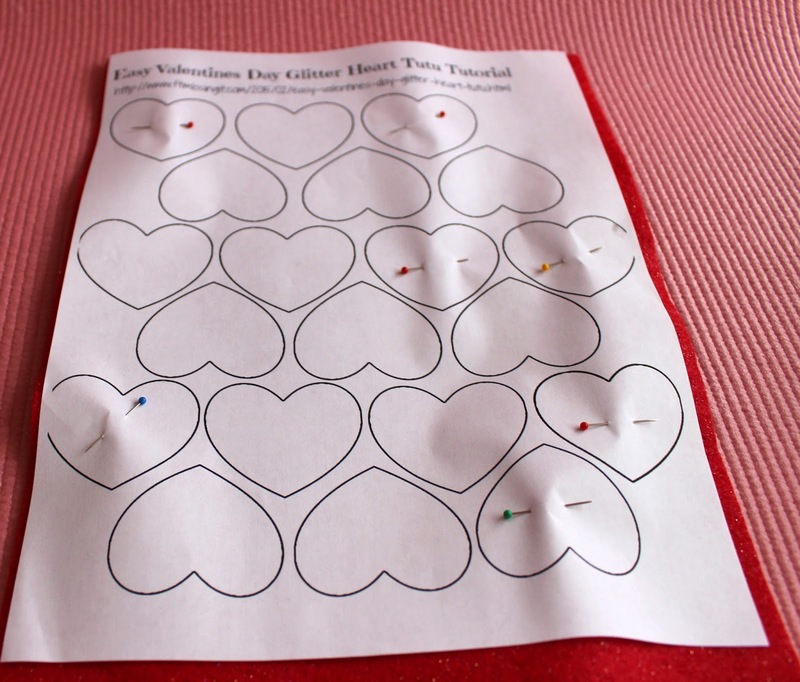 Using a sewing machine, stitch back and forth a couple of times on each heart. 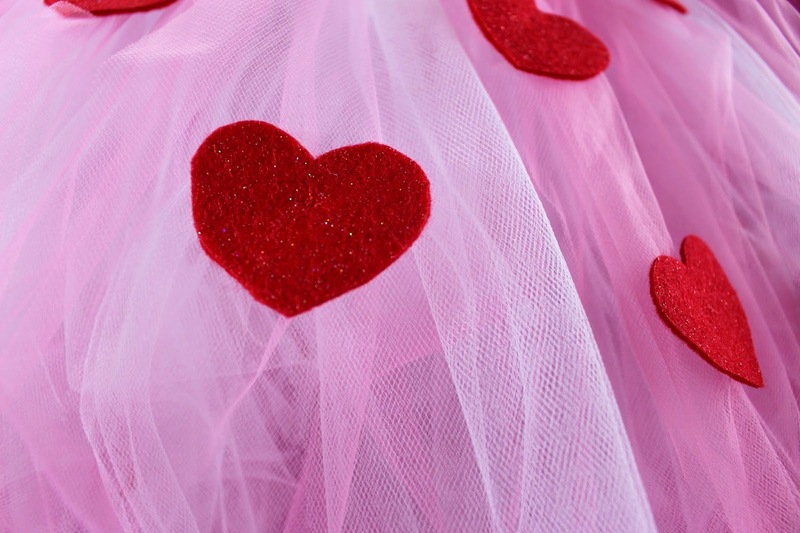 I slipped it onto my sweet little cupid and around and around she twirled with it. She loved it so much that I let her wear it at dance class! My daughter would have loved this when she was your daughter's age! How pretty that came out! 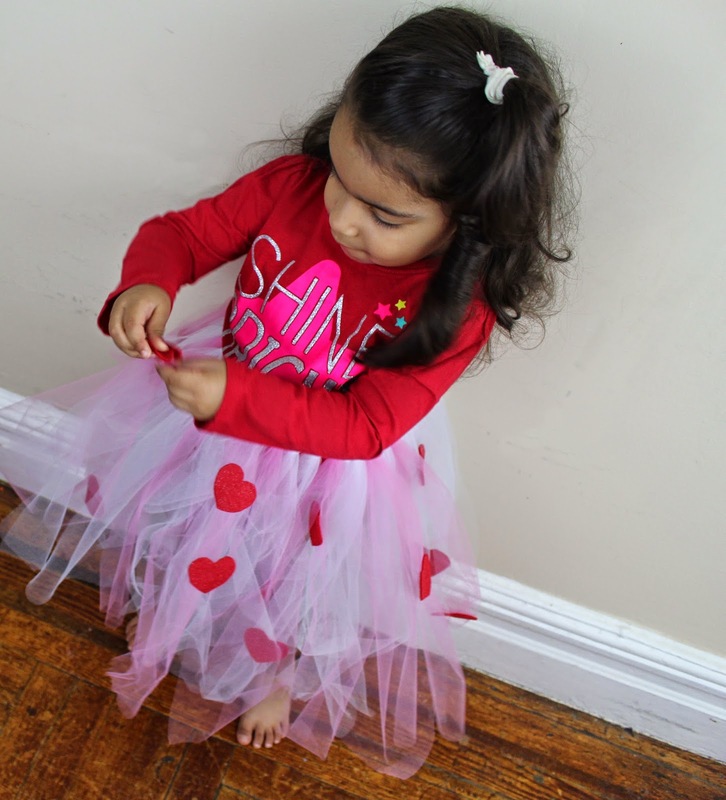 All little girls love to be a ballerina and a tutu makes them feel like one. That is so pretty! I wish my little girl was still young enough for things like that. How cute! This looks easy enough to make yet still looks incredible. This is so darling! I love it! Awww, so adorable! I loved when my daughter was this age. 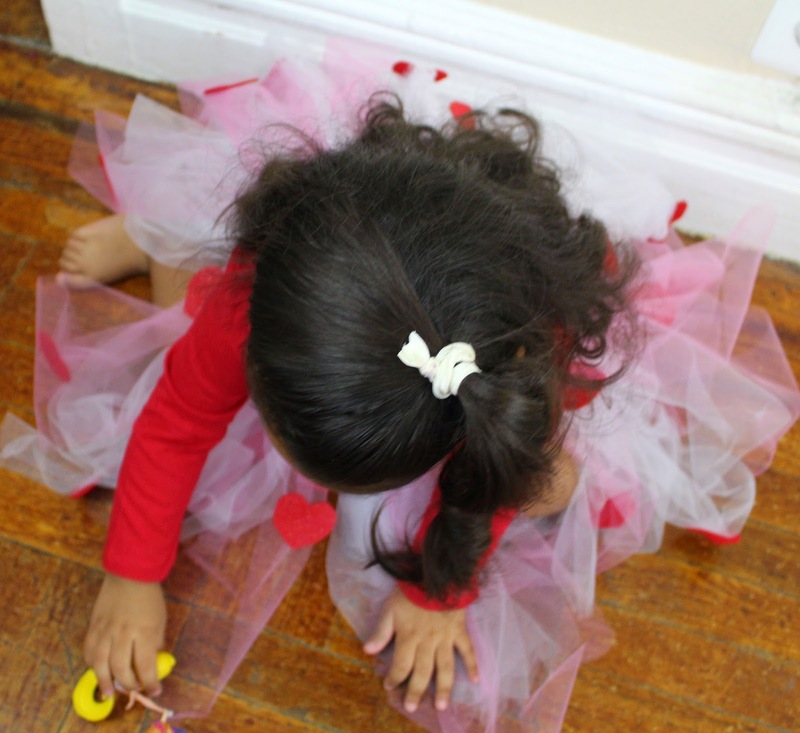 She loved dress up and pretty tutus! That is just a little girl's dress up dream. What a super idea! Oh my word! This is the most adorable thing... my 6-year old niece would love it! 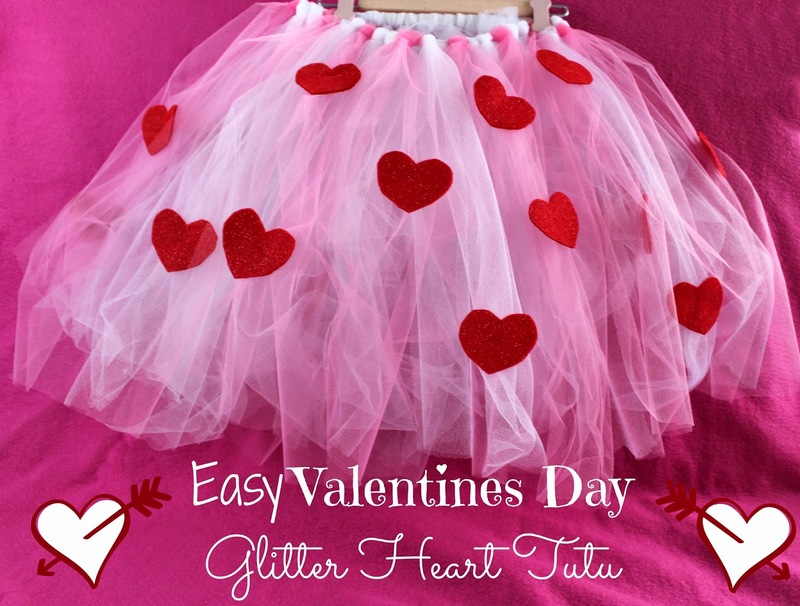 What a fun tutu for a little girl to wear. The hearts are everything.